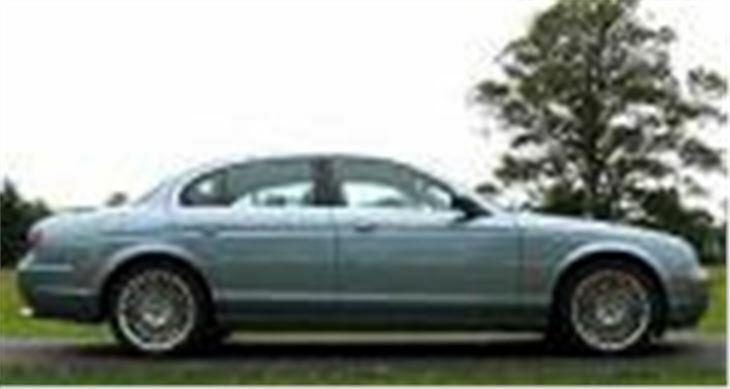 Why has Jaguar suddenly torn up its rule-book and started to offer an X-Type 2.7 V6 diesel? BMW offers big diesels. Mercedes offers big diesels. Audi offers big diesels. All with better economy, lower C02s and therefore lower BIK tax for company drivers than equivalent petrol models. And now that British bosses are leaner, hungrier and more cost-conscious than the fat cats they used to be, it’s very hard to put them into a car that not only guzzles petrol but guzzles tax at 40% as well. 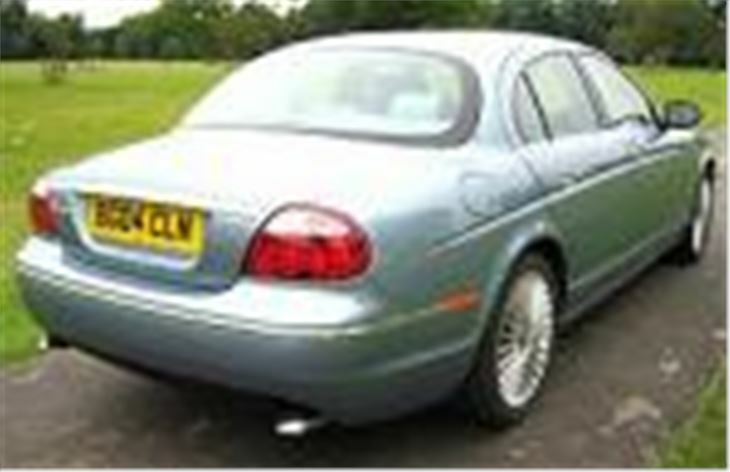 So now, with Prescott in a Prius, Jaguar has had to get its act together and start offering BIK friendly alternatives. The front drive X-Type diesel is already the most popular X-Type. The lightweight aluminium XJ is awaiting some new big diesels being developed by PSA and Ford. 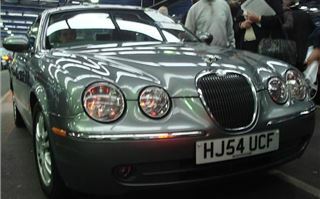 And the S-Type has been the first recipient of PSA/Ford’s new 206PS 2.7 litre twin-turbo diesel V6. So what does this do to the car? In the old days Jaguar engines were so smooth you could balance a coin on the cam covers. Stand next to even a rust-bucket Mk II and your ears wouldn’t tell you if the engine was running or not. 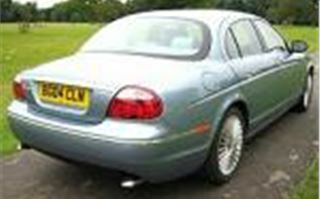 That was part of the point of a Jag. The last thing you wanted was a car that looked fantastic but sounded like a Kango hammer. From outside the S-Type diesel you can hear it. It’s as subdued as a diesel could be and far more so than an Audi, BMW or Merc. But anyone at the golf club who isn’t deaf will know you’re burning oil under the bonnet. 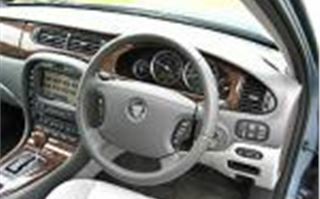 Inside, too, it’s no longer a case of looking at the rev counter to check if the engine is running. You are aware of a distant hum, but your passengers probably wouldn’t be. 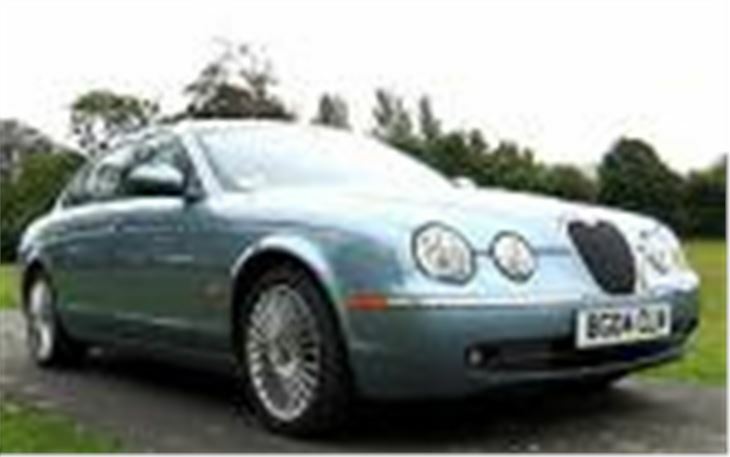 Especially with the 10 speaker optional Premium Sound system playing Christina Aguilera’s ‘Stripped’ CD. How does it go? Well not as hard as the new Audi A6 3.0 V6 TDI or the BMW 530d or the muscular Mercedes E320CDI, that’s for sure. Really, more like a 525d or an E270CDI. It does pick up speed, and does make proper use of the first five of its six gears. But totally undramatically and very quietly. The complete opposite of the A6 3.0 V6 TDI. Handling is pleasant rather than out and out sporty. 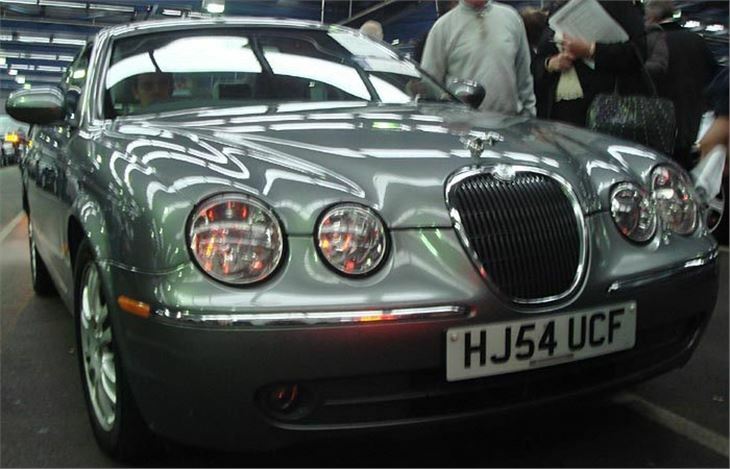 You are slightly isolated from the action, but if you’re buying an S-Type diesel you probably want to be. 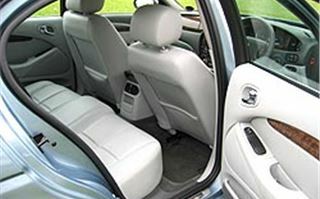 It’s nicely appointed inside, with a vast options list that allows you to tailor the car almost exactly as you prefer from a luxurious cruiser to a tighter, sportier chariot. 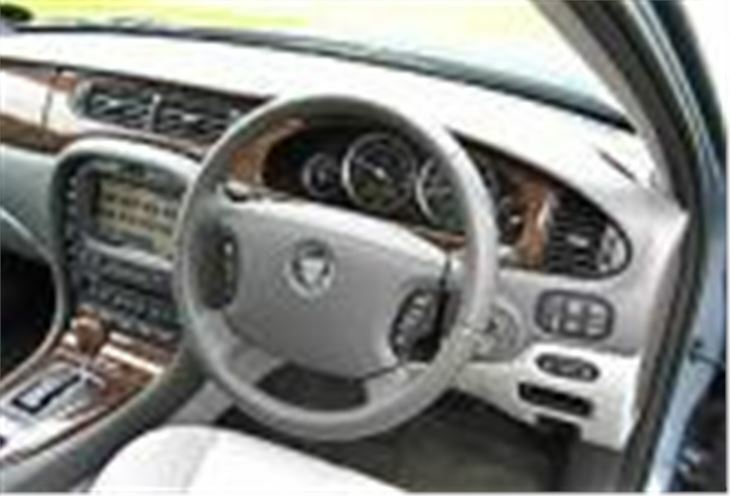 You can go for wood, pale leather and deep pile carpets, or aluminium, black leather and 18” wheels. 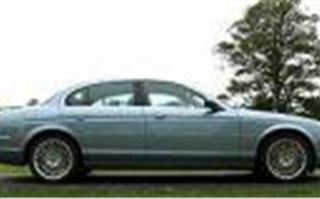 The car I drove had Mercury 8 x 18” alloys with 245/40 tyres, a £250 option on the Sport model it was, yet it rode and steered on indifferent surfaces with true Jaguar distain. DVD satnav, with touch-screen controls for the aircon and sound system is an option well worth ticking because it works very well indeed. Set everything as you want, then leave the GPS to tell you where you are. Electric seats and steering wheel adjustment are standard through the range, with memory on Sports and SEs and also a very useful of option of electrically adjustable pedals, which is a huge help to those with longer or shorter legs than average. My one bugbear was the 6-speed autobox. On the petrol engines it’s fine, the changes are fairly seamless and you don’t get the whole thing dying on you. But because the diesel has no torque at all below around 1,200rpm, and because the ‘J’ gate is a very sloppy kind of manual over-ride, on some corners and roundabouts you can be stuck up the creek without a paddle-shift. I tried pre-selecting third, but it still bogged down between gears. Maybe familiarity would breed content, I don’t know. And, of course, you could go for the Barcelona box instead. A six-speed manual V6 twin-turbo diesel S Type. Imagine that emerging from Brown’s Lane in the late 1960s. Footnote: Some people complain that I don’t bang the British drum loudly enough, and I don’t when the Brits don’t deserve it. However, I’d like to point out that the PSA/Ford twin-turbo V6 diesel is actually built in the same engine plant that turned out the most reliable Rolls Royce Merlin engines for WW2 Spitfires and Hurricanes. None other than good old Dagenham.